Revisit treasured moments from the unforgettable series Downton Abbey, including new behind-the-scenes clips and interview footage. Celebrate the stellar cast, the superb writing, and the spectacular locations of the most successful British drama ever. 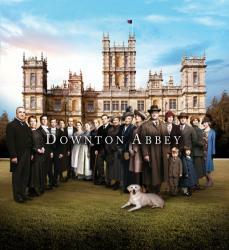 Join Allen Leech (Branson) as he hosts I Miss Downton Abbey! on Sunday, August 19 at 8:30 p.m. on WXXI-TV. I Miss Downton Abbey! includes exclusive, never-before-seen “behind-the-scenes” footage from Season 6 and is filled with new interviews with the entire cast as well as creator Julian Fellowes and executive producer Gareth Neame. Providing an abundance of fondly remembered moments from all six seasons, I Miss Downton Abbey! is one summer sendoff you are not going to want to miss.